The engineering plan from Crown Jade uses rebar instead of post tensioning cable to reinforce the concrete in the floor. The computer program that the engineers used to design the floor system was a Post Tensioning Insitute product. 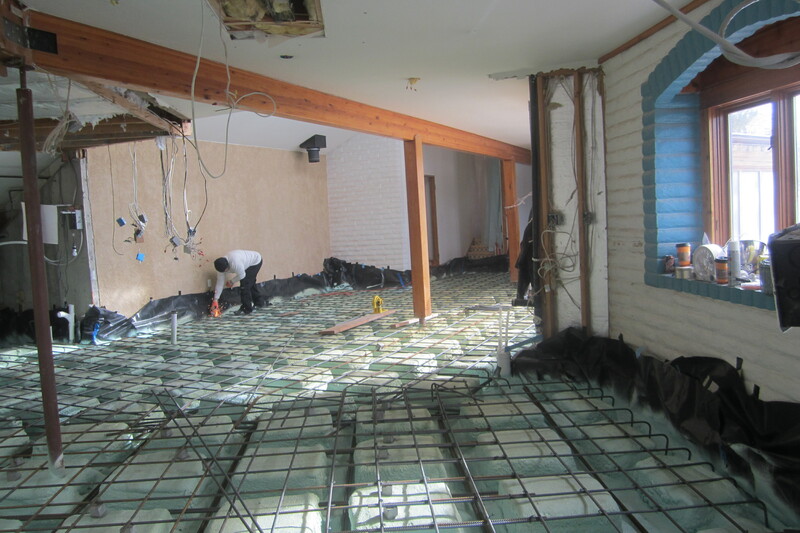 Post Tensioning was not possible within the existing cassion foundation system for this slab so the recommendation for cable from the program was translated mathematically to an amount of rebar by Mark Benjamin of Crown Jade Engineering. The total amount of rebar was heavier in thickness and about three times more than we originally estimated, so the cost ended up being three times the original estimate. The design called for two #5 (5/8″) rebar in the cavity of each beam, located 2″ from the floor and at least 1″ apart. 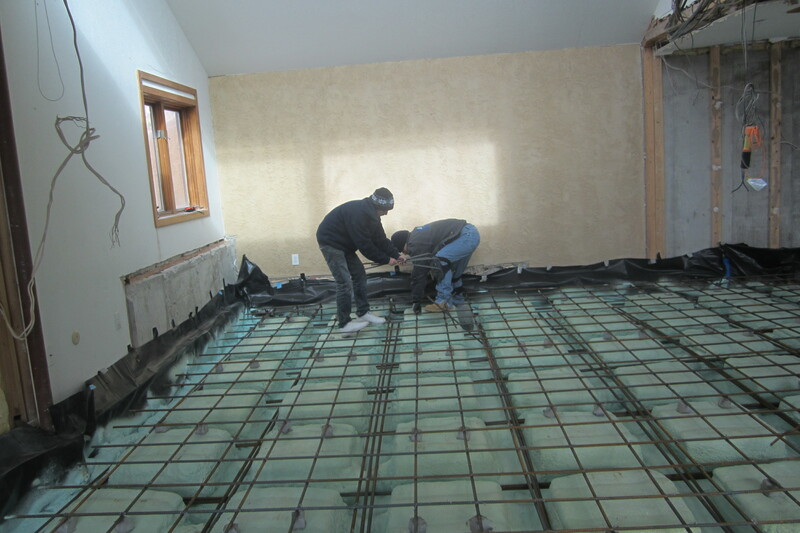 The slab contains #4 (1/2″) rebar at 9.5 inch intervals in both directions wired together and placed on 1.5″ dobies to lift the grid into the cement. The slab grid of rebar is bent down and the beam grid is bent up into the beams at the perimeter of the slab. To get our order as accurate as possible, I actually took the measurements from the original scale drawing, using the free DraftSight Cad software, and added each parallel and diagonal measure together. 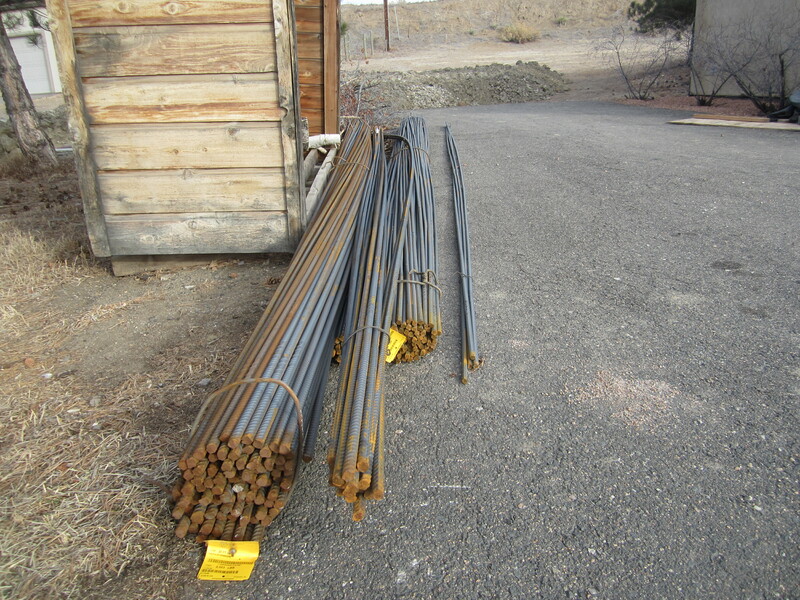 Since the rebar was specified to overlap 24″ for #4 and 30″ for #5, we added the specified amount to each 20′ stick and came up with an order of 206 #5 and 202 #4 required for the job. We ended up using all the #4 but had about 10 sticks of #5 left over, which makes me think I counted the perimeter twice. But we used some of that in the entry patio so the order ended up being very close to the requirement. Most of the workers who looked at this floor were amazed. “Overkill” was the word I heard most frequently. If you want an engineered solution, you have to be willing to pay for the recommendations and follow through. We wanted a floor that would NOT be subject to the lift of the expansive soils that had been proven to be under our slab by the failure of the first one. So lots of rebar went into the floor and no mesh. 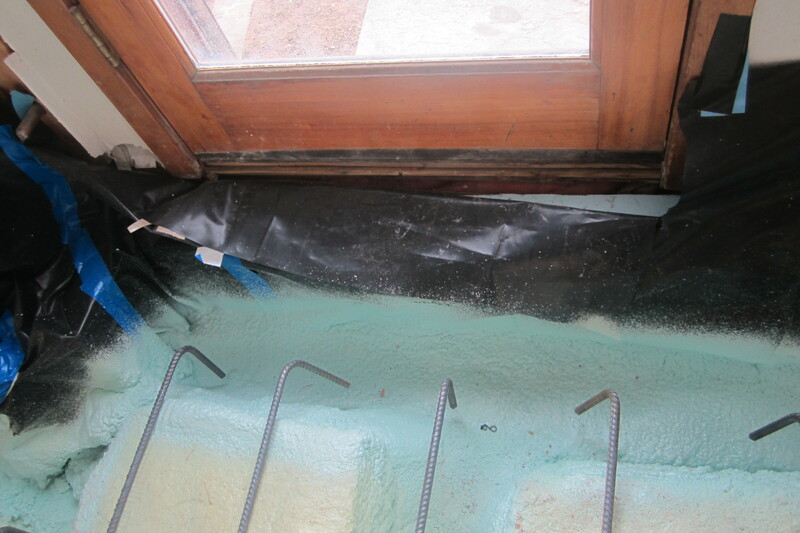 This entry was posted in Construction, Moisture Intrusion/Expansive Soil. Bookmark the permalink.